Lee Adaptor Rings fit onto the lens to accommodate the filter holder or lens shade. Once the ring is in place the holder clips into place using a smooth, quick release spring loaded mechanism. 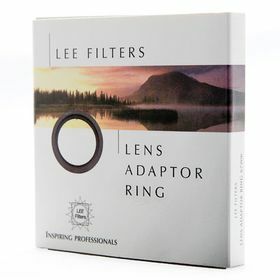 Sturdily constructed with an aluminium screw thread, this is a standard adaptor ring for lenses with a 82mm filter thread.